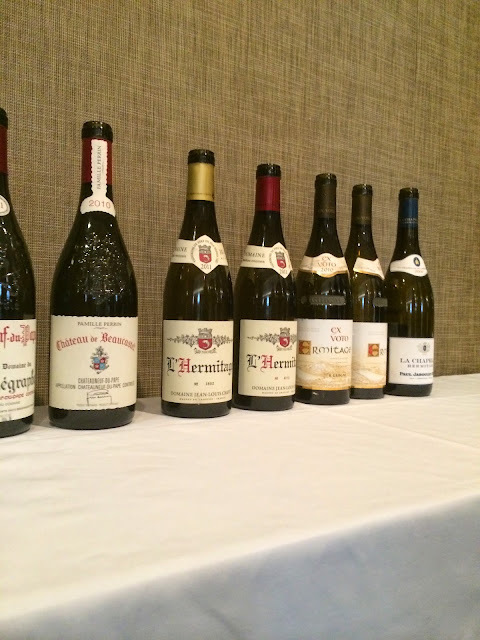 While the Guigal La La trio was the centre of attention at the recent Negociants Working With Wine seminars, the other wines on show probably deserve just as much attention (if not more). 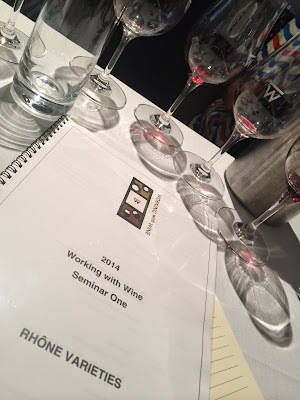 The tasting wasn’t exclusively French either, with a whole swathe of Australian wines included in the mix, most of which showed very well against much more highly fancied (and higher priced) wines. The following wines then were all tasted at the Working With Wine seminar in masterclass conditions (quickly, but thoroughly) with John Duval, Tim Kirk, Louisa Rose and Phillipe Guigal amongst the panellists in attendance. Notes are as written on the day with extra bits in italics. RRPs are approximates. 51% Grenache. All separate components coupled at bottling. This looked very ‘Duval’ but a little simple in context. I’d probably rate it higher by itself. 65 % Gren 15% Mourvèdre 15% Syrah average vine age 60 years. Closed. Some dark red fruit escaping but perhaps a light wine. Tightly wrapped. ‘A challenging vintage’ TK. A side note, Tim has been using stalks since 1993. 7% Viognier. 38 months in barrel. (This bracket was served blind. I’ve included both blind and unmasked thoughts as they’re kind of fun). I didn’t like the 08 either. Blind impression: Earthen. Savoury. Too savoury for modern Oz. Warm alcohol. Almost minty finish. South Africa? From a single vineyard at Light Pass. Blind: Juicy and jubey. Almost confected juicy. The nose suggests Barossa, but the palate seems spicier and cooler than that, flecked with mulberry and black pepper. Slightly jubey, grenachey finish. Barossa?. I’d love to have a look at this by itself. Blind: Ultra modern and lifted. Just Shiraz? No Viognier? A light Hunter red even? Certainly light and juicy. Very Light tannins too. Blind: Dandelions and ham. This feels more like Hawkes Bay, the tutti fruit ham fruit and grippy tannins offset by sweet vanilla bean oak. Seriously savoury though. Great depth. I’ve liked this better in other lineups. Blind: Australian. Mint and raspberry suggest Langhorne?